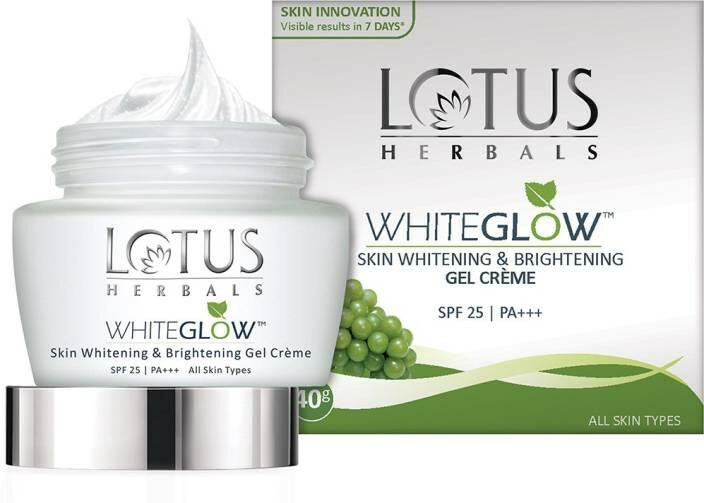 The Lotus Herbals Whiteglow Skin Whitening & Brightening Gel Cream SPF-25, is an apt product to help you fight the stern rays of the sun and remain tan-free for a long period of time, thanks to its SPF 25 PA+++ formulation. It has a one of its kind base that has the amazing combination of a gel and a cream. This unique base facilitates fast absorption, leaving you with youthful looking supple skin that radiates brightness. The mulberry, saxifrage and grape extracts helps make the skin brighter, override the harmful effects of skin darkening and lend a beautiful texture to the skin surface post application. Got this product a week back. Can see the results in just 3 days. I have oily skin but this gel creme gets absorbed quick.